This is a tough one to write a review for. It’s very funny. It’s also very serious. It’s very obvious. And yet it’s very obtuse. It’s extremely sardonic while being concurrently sweet. You think you know which way it’s going, and yet every five minutes you realize you’re wrong. Which I guess makes it very Italian – in the tradition of “The Great Beauty” or any of Fellini’s films…okay, maybe not that obtuse. Michael Caine, as a retired conductor/composer on a holiday in an ultra exclusive Swiss spa/resort, gives one of his greatest performances. The resort is filled with both bizarro and archetypal characters. Among these include Caine’s daughter (Rachel Weisz), a Cassavetes-ish film director (Harvey Keitel), a very method actor (Paul Dano), a Diego Miradona-like football god (Roly Serano), a Miss Universe winner (Madalina Diana Ghenea), and several other oddballs, beauties and spa-creatures. 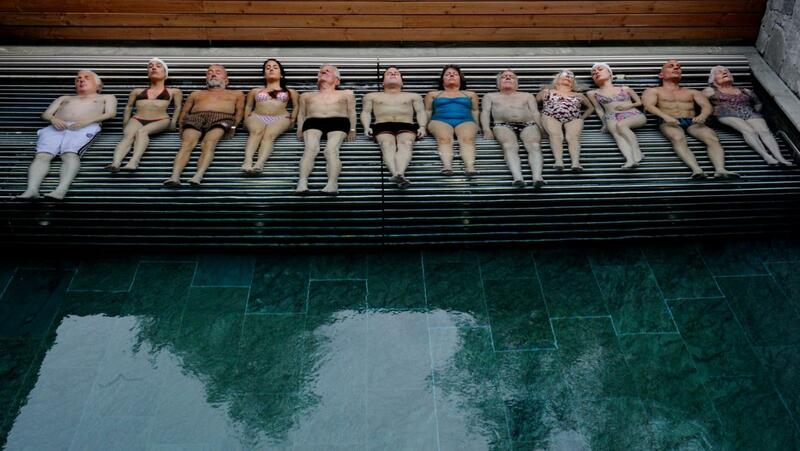 Somehow, all their stories magically intertwine, while Sorrentino concurrently pummels us with what it means to age…or maybe how youth is wasted on the young. Or maybe its that the old aren’t old…they’re experienced…which for many, is just not enough. Or something. It’s funny and heartbreaking. And with acting (especially Caine, Keitel and Dano) and writing this delicious, it’s a pleasure to see the folly of youth as reflected through the eyes of the old. Not to be missed when it finally arrives at your art house. Trailers are out there, but they, in no way, represent the film I saw…so skip them.